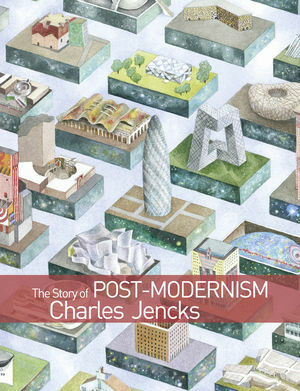 In The Story of Post-Modernism, Charles Jencks, the authority on Post-Modern architecture and culture, provides the defining account of Post-Modern architecture from its earliest roots in the early 60s to the present day. By breaking the narrative into seven distinct chapters, which are both chronological and overlapping, Jencks charts the ebb and flow of the movement, the peaks and troughs of different ideas and themes. The book is highly visual. As well as providing a chronological account of the movement, each chapter also has a special feature on the major works of a given period. The first up-to-date narrative of Post-Modern Architecture - other major books on the subject were written 20 years ago. An accessible narrative that will appeal to students who are new to the subject, as well as those who can remember its heyday in the 70s and 80s. Charles Jencks is an American architectural theorist, author and landscape architect. He has a BA in English Lit, BA and MA in Architecture and a PhD in Architectural History. He guest lectures on architecture in cultural institutions across the world. Premature Conclusion: the Iconology of Post-Modernism?